Undeleter helps you scan your Android device and memory cards to possibly recover deleted files, including your photos. It works on rooted devices and helps users get their lost files back. Background scanning to scan for recoverable files in the background. Recover files of almost any kind from your corrupted internal memory or SD cards. Recover call logs, photos, music files, and so on. It requires rooting your device which many would not prefer to do. The user interface is built for advanced users and novice may have issues using it. As the name implies, DiskDigger Photo Recovery is an app to restore deleted photos Android that helps you restore deleted photos on your Android device. It does so by using various techniques that are built into it. Supports recovery from your device's internal memory as well as your SD cards. It's relatively easy to use and beginners can also use it. It can send the recovered files to your Google Drive or Dropbox. Those who haven't rooted their devices can't use the deep scan feature in the app. The full scan feature only works if your device is rooted. Dumpster claims to be keeping your deleted files safer and gives you options to recover them should you want them back on your Android device. It acts as a recycle bin for your device. You can instantly retrieve your lost photos from your device. You don't need a rooted device to be able to use the app. It uses a lockscreen to protect your data. You must root the device if you want to get access to the full scan features of the app. 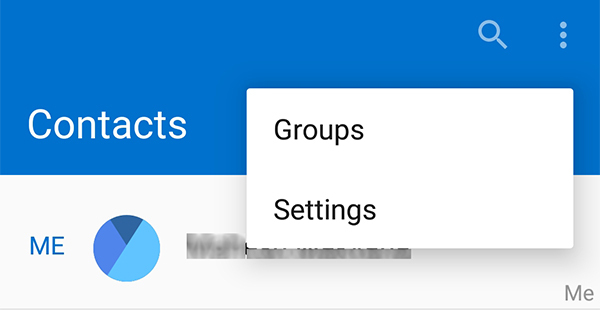 Only a few options works on non-rooted devices. The Restore Image & Photo Recovery app is a very basic app with the ability to help you recover your deleted photos on your Android device. It has minimal options and does its job very well. Regardless of how you lost your photos, it will recover them for you. Instant scan to help you quickly recover photos. Many say the app hasn't been able to help them recover their photos. Sometimes the app works slower than its capacity. The Photo Recovery app attempts to recover deleted and even hidden photos on your device. It has been built with great algorithms that can easily find and restore your deleted photos. Multiple choice for choosing an algorithm to recover photos. Requires no root access on the Android device. Easy to use app that new users can easily use. Sometimes it's hard to choose an algorithm and it takes too much of your time. If the above free apps don't cut it for you, you may want to try paid tools that charge you a fee to help you recover photos on your device. Since these charges a fee, you are more likely to be successful in restoring deleted photos on your Android device. Let's check out these tools. Not only does Tenorshare Android Data Recovery help you recover deleted photos but it can also help you recover content of many other forms such as your messages and contacts. It's a feature rich program that helps you recover lost data on your Android device. 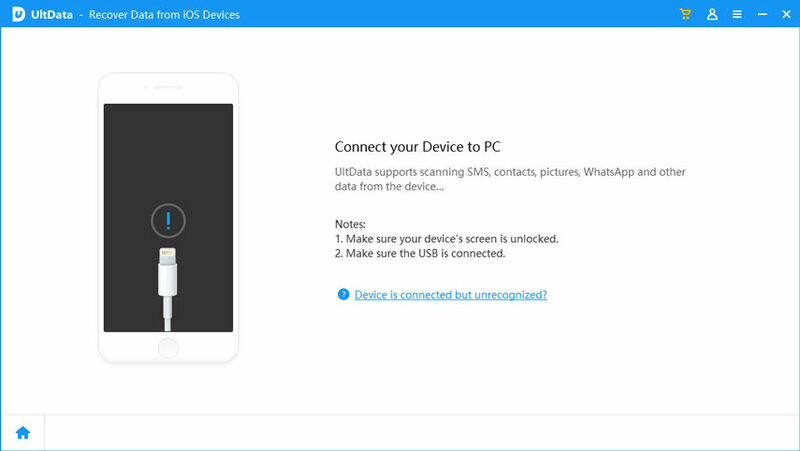 It helps you recover contacts, call history, messages, photos, videos, audios, WhatsApp, and other files. You can recover data that is lost in many situations like accidental deletion, factory reset, water damage, and screen broken. It lets you selectively recover data from your device and has support for a number of file formats. You need not be a geek to be able to use the app as it has been built keeping novice users in mind. With the free trial method, you can see if your deleted data can be recovered. The app costs .95 for one year subscription and a family plan costs .95 for up to 5 family PCs. You can also go for the unlimited plan for 9.95. 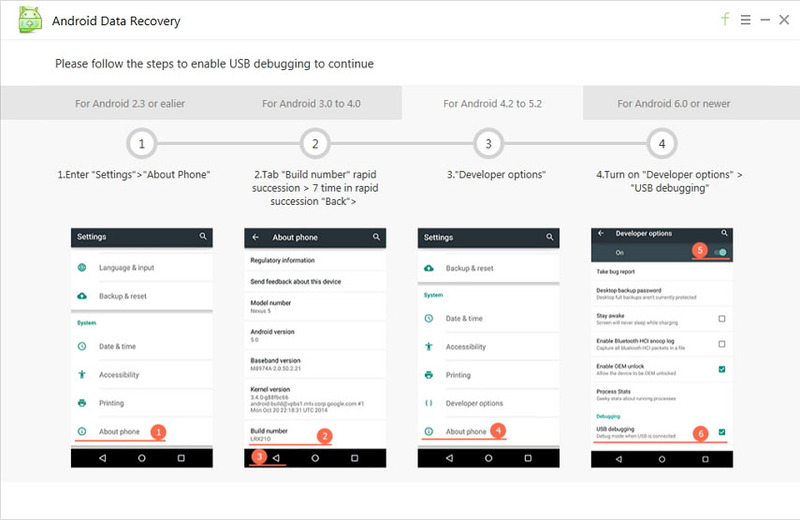 PhoneResuce is a data recovery tool that is available for both iOS and Android users and helps users recover data on their Android devices including photos. It has a high success rate than the other helps. It supports multiple languages including English and French. Easy to use and lets you recover photos within a couple of clicks. There's a model specific app for Android devices to ensure your photos are recovered. There are a specific kind of formats that require your device to be rooted to recover them. The app costs .99 for a one user license and 9.99 for a family license. The FonePaw Android Data Recovery program supports a number of Android devices to recover data including photos. It also helps you recover data from your SIM card which is something we don't see in ordinary apps. You can recover Microsoft Office document files with the app. You can restore data from broken Android devices. Supports old versions of the OS to recover data. Requires you to pay huge fees to use extra features in the app. It isn't always capable of recovering data. Sometimes it fails. The program costs .95 for a one user licence. Dr. Fone for Android is a data recovery app that helps you recover data from many circumstances on your Android device. It's got a relatively high success rate for recovering data on Android devices. No matter how you lost your data, it can be recovered using the app. The trial period lasts for a month which is on the higher side. Takes really long if there are a number of photos to be recovered. It is not actively updated meaning it won't support latest phones. The program costs .95 for a single user license. EaseUS has been offering data recovery programs for a long time and EaseUS MobiSaver for Android is a program that helps users restore deleted photos on your Android devices. It works like a charm and has a number of features to help you get your lost photos back. Filter and preview your files before recovery. The free version only lets you recover one file that is not good. Your device must be rooted before you can recover files. The app will set you back for .95 for the professional version. If you would like to use your computer to restore deleted photos on your Android device, you can use Tenorshare Android Data Recovery program that runs on your computer and recovers data including photos on your Android device. Download and launch the Tenorshare Android Data Recovery program on your computer. Connect your Android device using a compatible USB cable to your PC. Enable USB debugging option on your Android device as shown below. Tap on Allow in the prompt that appears on your device and then click on Start in the program. Checkmark only Photos on the following screen and click on Next. Wait for a few minutes and then you should be able to see the previews of your photos. Select the ones you want to recover and click on Recover. That's how you can use the software tool to restore deleted Android photos on your device. With five free and five paid restore deleted photos Android app at your disposal, you will be able to recover your deleted photos on your device easily using any one of them. And if those don't work, give Tenorshare Android Data Recovery a try and it won't disappoint you for sure.